It’s been 18 months since the first commit to my first significant Go project — syslog-gollector. After an initial burst of activity to create a functional Syslog Collector that streamed to Apache Kafka, the source code hadn’t been updated much since. But today I received a report that it no longer built, so I spent some time porting the code to the latest Shopify Sarama framework. It was amusing to see how naive much of my early Go code was. 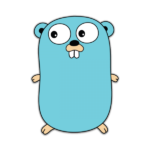 I’ve started coding in Go (golang), and I received some advice recently from Robert Griesemer, whom I was fortunate enough to sit beside at a recent Go Meetup. To learn Go, Robert suggested that I code a solution in Go for a problem I had previously solved in a different language. My name is Philip O'Toole and I am an experienced software engineer from Ireland. Based in the Greater Pittsburgh area, I have a particular interest in all things related to software development, particularly Linux system software, databases, distributed systems, and SaaS platforms. Is node.js just a stopgap? All opinions are strictly my own, and not of my employer.